Over the past 12 years Thirdi Group has been very lucky to be included in a range of media & industry awards, recognised in how we combine traditional property development & investment strategies with in-house developed technologies. We are proud of our innovative approach to property development and we believe it’s our simple philosophy of ‘Investing where Investments are being made’ that has helped our company secure its place as one of the fastest growing development firms within Australia. With the property market back in full swing after the usual January slowdown, we spoke to Luke Berry, director of sales and marketing at one of Sydney’s leading property developers, Thirdi, for his learnings from the past year and plans for the future. This is evident in the combination of home automation and smart sustainability which feature heavily in Thirdi’s upcoming projects. All of Thirdi’s current projects will have access to home automation packages and will either have private energy storage (by way of a Tesla battery in the garages) or the building will have been designed with a dedicated energy storage area in the basement ready for battery installation in the future. “We have major plans for these batteries to feature as a ‘green and clean’ energy offering and hope this will not only help the environment but also significantly reduce the cost of living for our residents,” Berry says. Developer Thirdi Group has officially unveiled its latest Newcastle project, launching the next piece in their masterplanned WestEnd precinct, the $104 million “Stella on Hannell”. Thirdi officially opened their WestEnd display suite last Thursday 19 April to much fanfare. Newcastle Mayor Nutali Nelmes was the special guest and speaker for the evening, welcoming more than 200 guests. Located on the corner of Hannell and Bishopsgate streets in Newcastle’s burgeoning Wickham, Stella on Hannell comprises two 14-storey residential towers offering a mix of one, two and three-bedroom apartments. 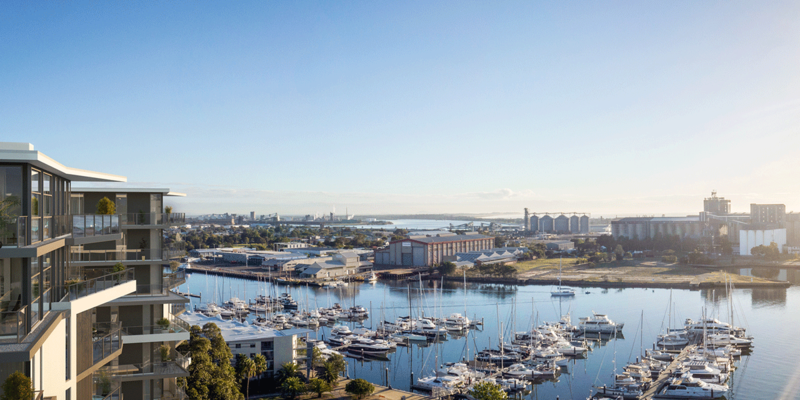 Stellar on Hannell boasts some of the best uninterrupted views of the harbour and Newcastle CBD. Starting at just $420,500 for a one bedroom apartment the launch was a success with 54 apartments sold and 50 per cent of the apartments reserved for purchase. Thirdi Group director of sales and marketing Luke Berry said interest in Stella on Hannell had been overwhelming. 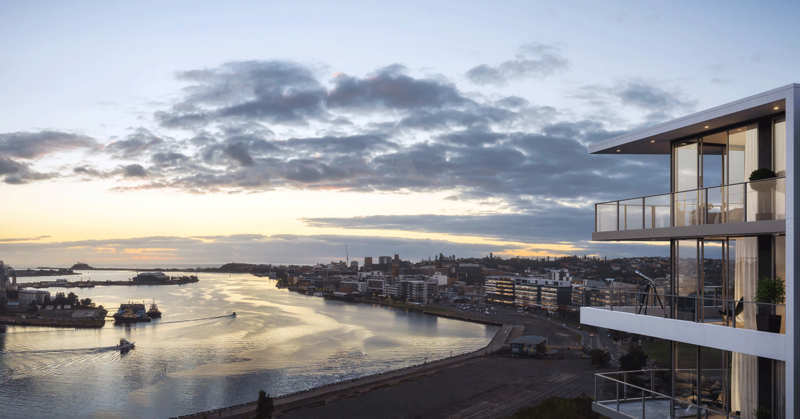 The commanding North East aspect looking over the harbour allows for the maximum number of apartments to experience uninterrupted views of the harbour and the city. Located next to millions of dollars in infrastructure investment including the new $200 million Newcastle interchange Stella is also just a short stroll to the University of Newcastle’s new city campus. At the launch, Mayor Nutali Nelmes confirmed the council’s commitment to the WestEnd. Highlighting the record $2 billion of infrastructure projects earmarking a once-in-a-generation boom. The council is only one of many organisations joining the westward march to Wickham – with the New South Wales government recently announcing that it will take 9,000sq m of office space in Wickham. Stella on Hannell is the developer’s third of four projects for the Wickham precinct, adding to Eaton on Union and WestEnd – the fourth element of the “W.E.S.T” is set to be unveiled in coming months. 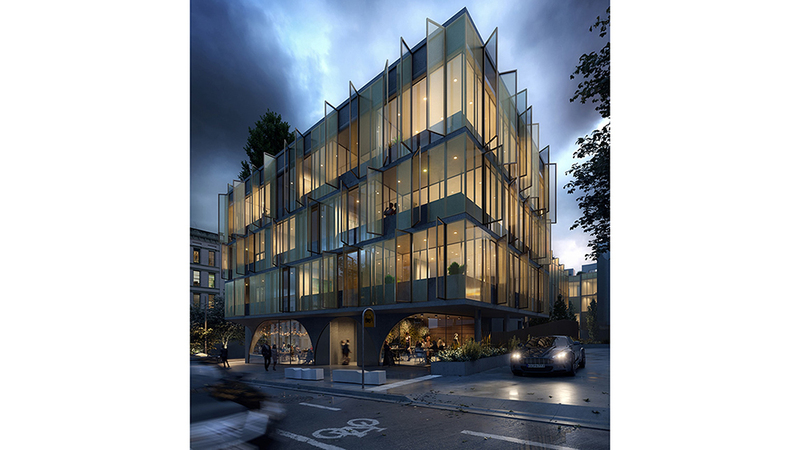 Stella on Hannell was named after the daughter of architect Luke Mahaffey of LJM Architecture. For some car enthusiasts, keeping their pride and joy locked away in a garage makes no sense. Why have this perfect piece of machinery if you can’t admire it, even when it’s off the road? 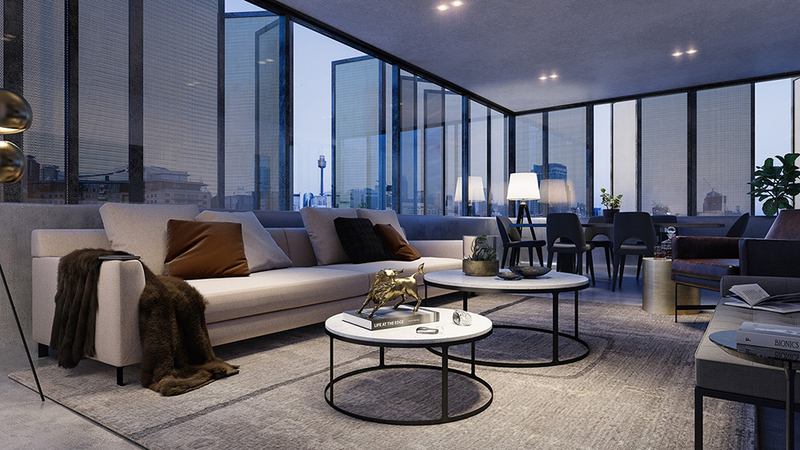 Here is the perfect solution – a new development in Sydney’s Pyrmont has the option of a car lift so you can bring your luxury wheels right into your domain. 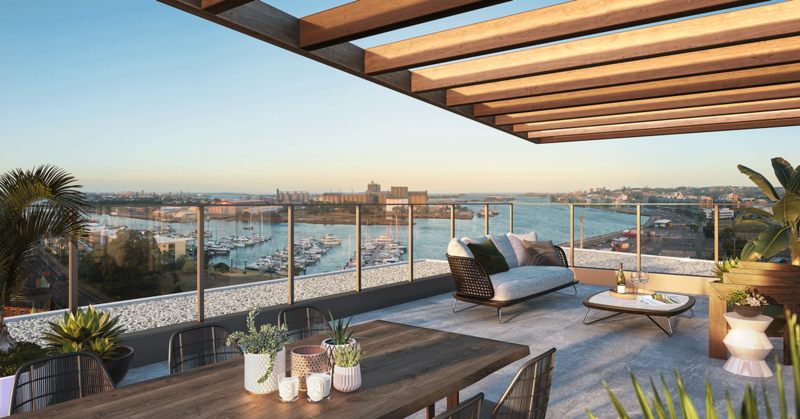 The Paragon of Pyrmont development is described as ‘never-before-seen luxury in the heart of Sydney’. It features a selection of 1 and 3 bedroom apartments and exclusive 3, 4 and 5 bedroom townhouses. The jewel in the crown is the Treasury, a mammoth four-bedroom, six-bathroom townhouse. It’s in this property that a lift to take the car from the garage into a first-floor room is an optional extra in the development. Coined the ‘Maserati bat cave’, it has gained a huge amount of attention from car lovers worldwide, according to Thirdi Group’s Luke Berry. “From a concept point of view it’s captured people’s imagination,” he told Robb Report Australia. The garages are equipped with smart home automation systems which will recognise when the resident’s car is approaching and open the door and turn on the lights automatically. In the five-level townhouses there are Italian marble mosaics in the bathrooms, Gaggenau appliances in the kitchen and Rogerseller-style ‘touch activated’ cabinetry. 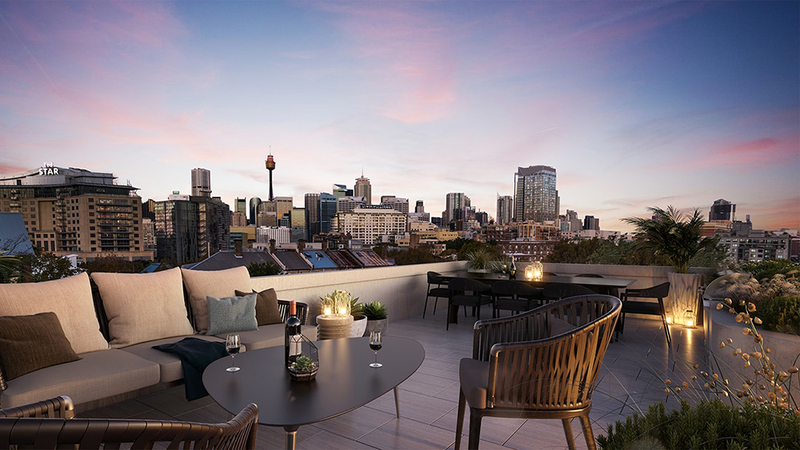 The private rooftop terrace will provide a sanctuary not often seen in the heart of the city and the gas BBQ and fridge will ensure it’s an entertainer’s delight. Despite all the opulence, it’s that car lift and ‘bat cave’ that has garnered the most attention. “It will be the first of its kind for this style of car lift,” Berry says. And if you’re not sure your car is up to scratch for day/night admiration, there is an option to buy a Maserati Quattroporte with the Treasury and car lift option. The Treasury residence is officially ‘price on application’, however Berry says including the car lift and Maserati, it will be around the $6m mark. Thirdi Group #5 in BRW Fast 100! Hamilton Marino lands $100million ICONIC Waterloo project. ARTi listed as a finalist for REINSW Awards for Excellence! Thirdi recognised as an ABA100 Winner in The Australian Business Awards 2016 for Product Innovation!